International watchdog Amnesty International said that “Egypt’s authorities are trying to cover up the deaths of more than two dozen people killed” in protests marking the January 2011 uprising anniversary. 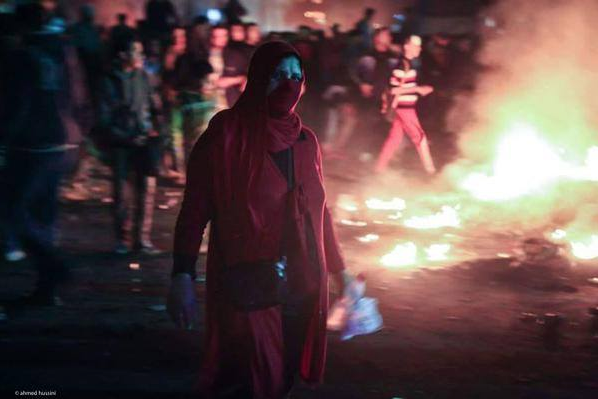 The report does not specifically explain how the authorities are attempting to carry out “cover-ups” but details a series of violations that have taken place after violence broke out during protests on and surrounding the fourth anniversary of the uprising. More than 500 were arrested in the aftermath of the deadly violence surrounding the anniversary, according to the ministry of interior. The violence was condemned by the United States, United Kingdom and the United Nations. Egypt’s Foreign Ministry responded to the condemnations with criticism, saying that global condemnations contradict with reality. The Foreign Ministry said it was extremely surprised at the reactions and criticised them for having “ignored the steps taken by prosecutors” to investigate the deaths. “Lawyers told Amnesty International that some were tortured during investigations by intelligence services,” the report read. Citing local NGOs, the watchdog said that at least 200 people arrested are held in central security forces camps. Under Egyptian law, it is illegal to use these camps as places of detention. The watchdog called on authorities to conduct independent and impartial investigations and to immediately and unconditionally release detainees held for exercising the right to freedom of expression or assembly. The report comes one week after the marking of the fourth anniversary of the January 2011 uprising. Deadly clashes broke out across the country surrounding and on the anniversary. According to official figures, 23 people were killed.